Raccoons have a peculiar habit of choosing one spot to use as a latrine. If they're in the same area long enough and that spot gets full, they choose another one, usually close by the first. 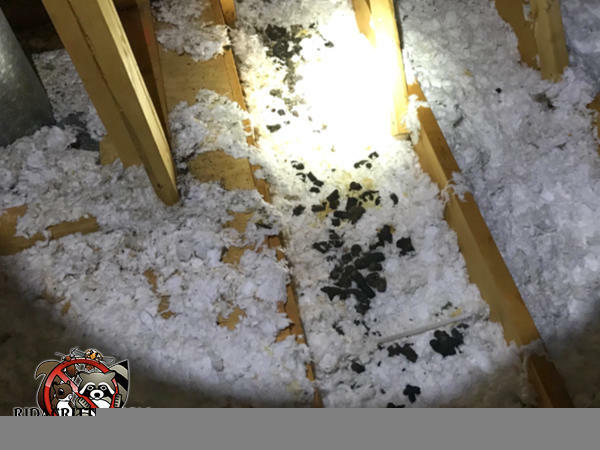 Judging by the amount of droppings and urine, the raccoons have been in this attic in Alpharetta for quite some time.